Alfredo Ruiz is an e-PRO® certified, licensed Realtor with comprehensive knowledge of the South Florida area. He represents sellers and buyers with the purchase and sale of residential, multi-family and investment properties. With his two decades of expertise and his ability to reach hundreds of international connections, he can also assist international buyers with their investments in Florida real estate. Before his real estate career, Alfredo worked as an Electronic Engineer and subsequently a Project Manager in the Defense industry. By honing his negotiating, managerial, strategizing and leadership skills, he was able to make the professional leap to Real Estate. 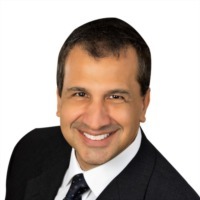 Alfredo has been highly successful in transferring those talents to the real estate business, ensuring expert negotiation skills, diligence, and integrity with every client. Alfredo is dedicated to and passionate about making a personal commitment to each client and focusing on their unique needs. Alfredo is fluent in both English and Spanish. Born and raised in Venezuela, he has also lived in Spain and Massachusetts. He earned an Electronic Engineering degree and MBA from Wentworth Institute and Lesley College, respectively. In his spare time, Alfredo enjoys tennis, coaching other realtors in Marketing Strategies and advising clients and friends on home improvement projects.